Also, would be good to see the existing Oaklands Station canopy broken up and re-used, perhaps even at stations along the Tonsley Line. Now that throwing rocks on to the Southern Expressway isn't so easy, perhaps the bored locals will assist with breaking up the unwanted canopy. During the Torrens Junction works, there didn't seem to be any significant closures of the standard gauge line as it was moved around, so it can presumably be a day or a weekend at the most if enough of the right people are working on the diversions. Tonsley Line is single track, so it doesn't need a crossover anywhere to change direction, it could do it anywhere that makes sense. The timeline in the Oaklands Crossing Project website https://ptpa.com.au/projects/oaklands-c ... separation has a 2-3 week closure scheduled for the Easter School Holidays for the tie-in of the new section. The work done on the standard gauge line at Torrens Junction is not really comparable as it involved two 2-3 day closures to realign track on the level with some of the track having been assembled in advance. The work at Oaklands is more similar to the work on the Port line at Torrens Junction and Bowden, except that at Oaklands a major part of the trench excavation and station construction has been done while the present station and line have been open. The tie-in however will involve civil work in the excavation of the outer ends of the trench and possible northern support wall construction. I would suspect that only then will the track be laid through the station. Electrification and signalling work will also be required before the new line is operational. I would also guess that the opportunity wil be taken to lay concrete sleepers on the track through Warradale station that wasn't done in the Rail Revitalisation programme. The 2-3 week timescale seems reasonable given the amount of work to be done. On the Tonsley line Adelaide Show trains one year (2014?) reversed at Mitchell Park. Trains could reverse at Clovelly Park, although the level crossing would have to be disabled. I have no idea of how much cheaper it is to run a single carriage train, after accounting for dis/connecting it into a bigger train for peak time. I'd rather see single carriages at higher frequency than double/triple at lower frequency which is another way of reducing costs on a lightly-used route. Adding smaller buses for minor routes has a lot more cost than using single railcars, since the double-ended ones are already owned and maintained anyway. That has been happening lately. 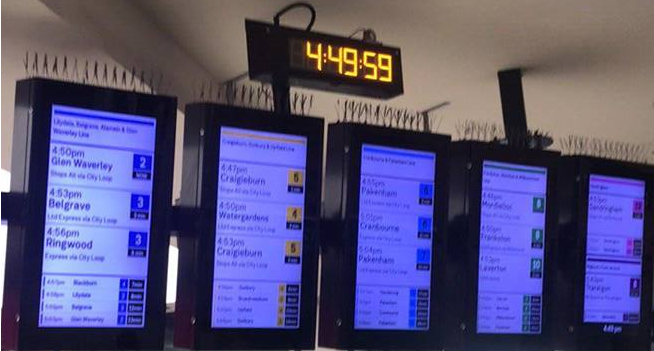 Is the Grange train ever full enough to use more than one railcar outside of peak hour? I don't understand why it's not more heavily used. On a map, it looks like a long route, but it's faster than driving. The suburbs it goes through have some medium density housing. Correct - there was a small spur line called the 'Hendon Line'. This roughly followed West Lakes Boulevard and Royal Terrace to the north. I think the Grange can line be better supported with development around Seaton Park station. In an ideal world, it would continue much further south, as far as possible. 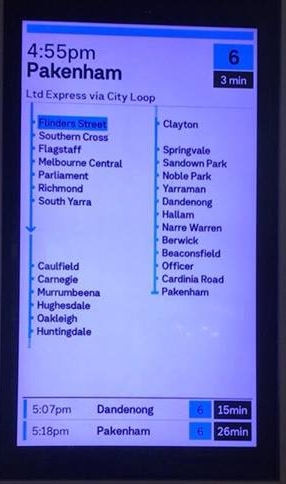 On a semi-related topic, Flinders Street Station in Melbourne has updated its signage. The problem with Grange spur is that 1/3 of its length goes through a golf course. Also East Grande and Grange are low density suburbia. 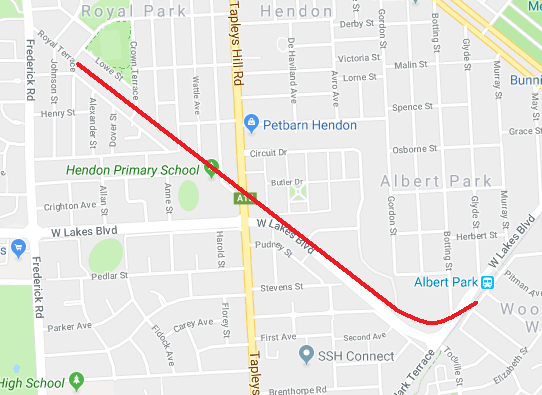 Woodville West developement has been VERY slow to gain traction, so once this is better developed maybe more people will use Albert Park station.., and in a perfect world there would be a high density location near the Seaton Park station. 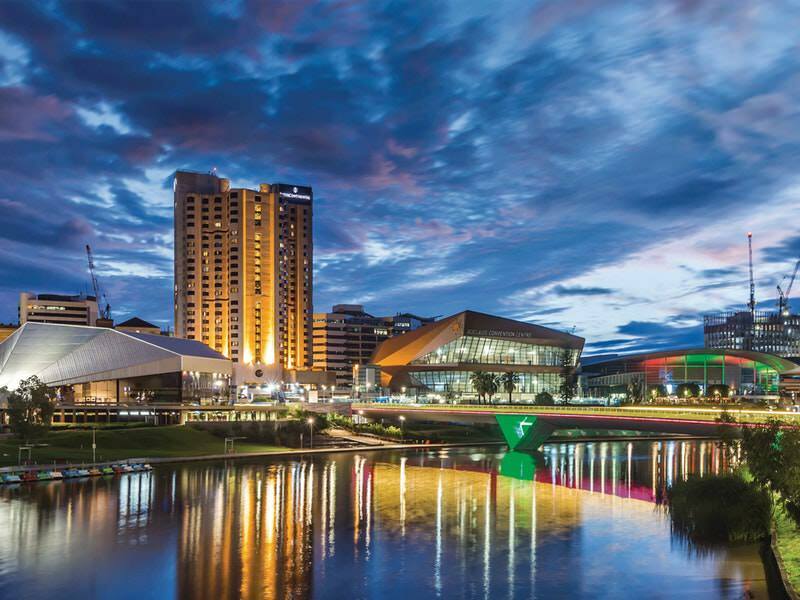 There is literally so much untapped potential, even without a West Lakes spur. Exactly, we have enough railways, just encourage density around them instead of anywhere else! There's a bit of higher density development in Grange closer to the beach from the 70s, there's also been an apartment development recently off Jetty Street - plus there's a few more in the pipeline. Also, being a beachside suburb which is relatively undeveloped there is a large amount of scope for higher density in the suburb in the future. And yet even now, we have a situation where private investors have spent hundreds of millions on a shopping precinct, a local council tens of millions on a services precinct, the state government tens of millions on a sporting precinct.. non of which have any connection to a railway station 500 meters away, which co-incidentally the state government has also spent hundreds of millions upgrading TWICE in the last 20 years. That is the situation at Marion. Are voters there asleep or something? Will news of potential Roseworthy/St Yves urban development mean a Gawler (spur line) train extension? Surely this should be part and parcel of any such project - given there is already a defunct rail line to Roseworthy.